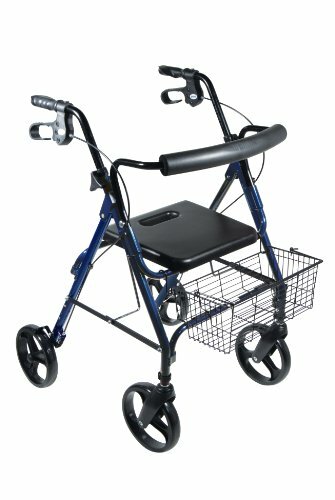 The D-Lite Rollator with Loop Locks and Removable Wheels by Drive Medical comes in an attractive blue finish. 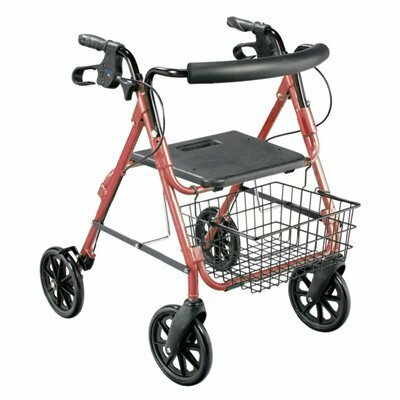 The large, 8 caster wheels are ideal for indoor or outdoor use, and can be easily removed without tools for users convenience. The comfortable, loop locks are easy to operate and can be easily released without snap-back and do not require the user to remove their hand from the handle to the brake, ensuring stability and safety. The ergonomic handles are easy to grip and relieve hand pressure. The handles can be height adjusted with an convenient, one piece, release knob and a large mushroom type release button on back ensuring easy adjustment. Comes standard with a convenient basket to securely and safely transport personal items. 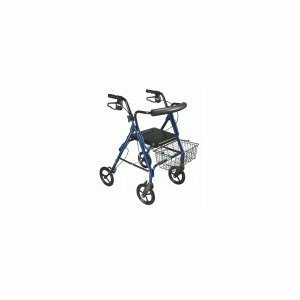 (SEE AVAILABILITY ABOVE FOR EXTENDED DELIVERY) - Drive D - Lite Aluminum Rollator - Drive D - Lite Aluminum Rollator & Hemi Rollator - 8" casters are ideal for indoor/outdoor use. Loop locks are easy to relase without "snap back." Contoured padded back for comfort. Large "mushroom" type button release on back. 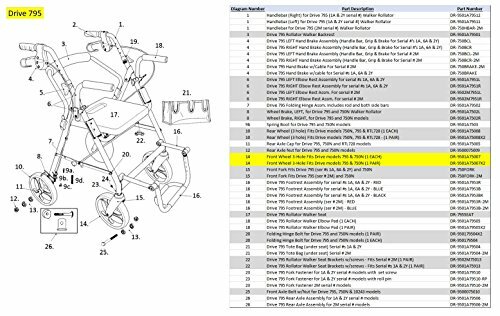 Large, high - strength plastic seat & front basket. Seat is 14"W x 13"D. Seat height is 20". Weighs 19lbs. Weight capacity 300 lbs. 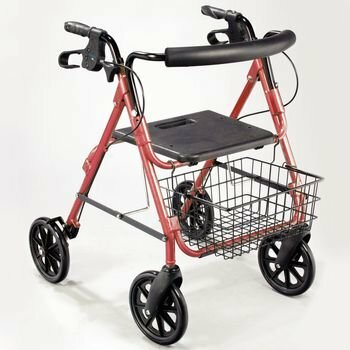 Handles adjust 32"H""36"H. Red.Hemi Rollator - Similar to above with 5" casters. Handles adjust 29"H""31"H. Floor to seat height 15 1/2". Weighs 12 lbs. Gold tone. - Rolyan products are internationally licensed & manufactured for home & clinical use. Most of their products offer a lifetime warranty.